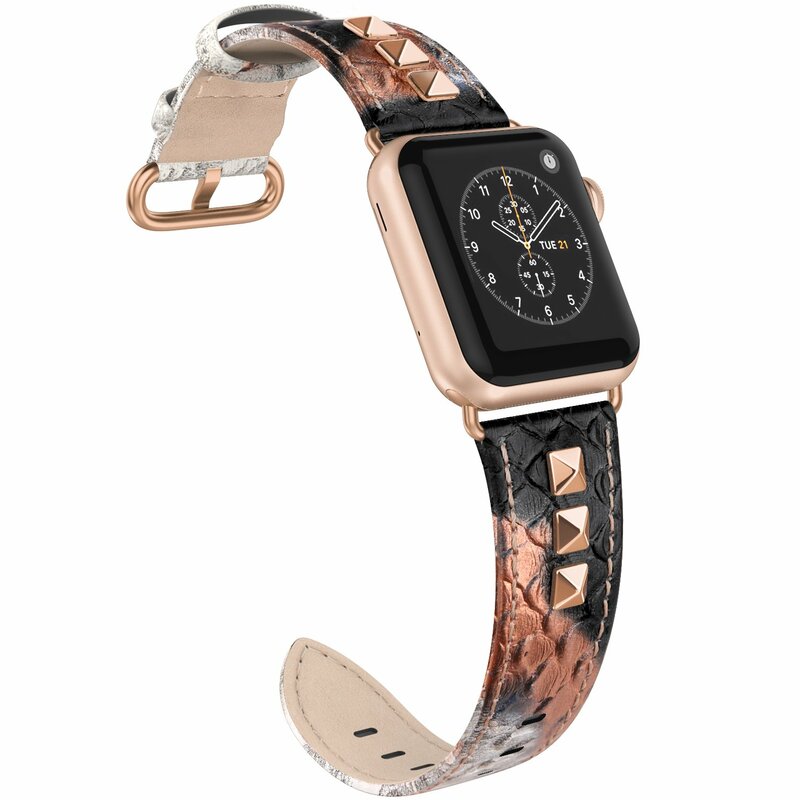 we often change our clothes and shoes .we would like be myself stylish.how about change your apple watch look .We suggest a very stylish apple watch leather band for you . Stunning women's band for the Apple watch 38mm series 3, series 2 and series 1, sports & edition. Fits wrist size of 5.5 - 7.2 inches. The strap has an ergonomic design to allow you to adjust the strap easily. Buckle holes are 5mm apart to ensure comfortable fit. 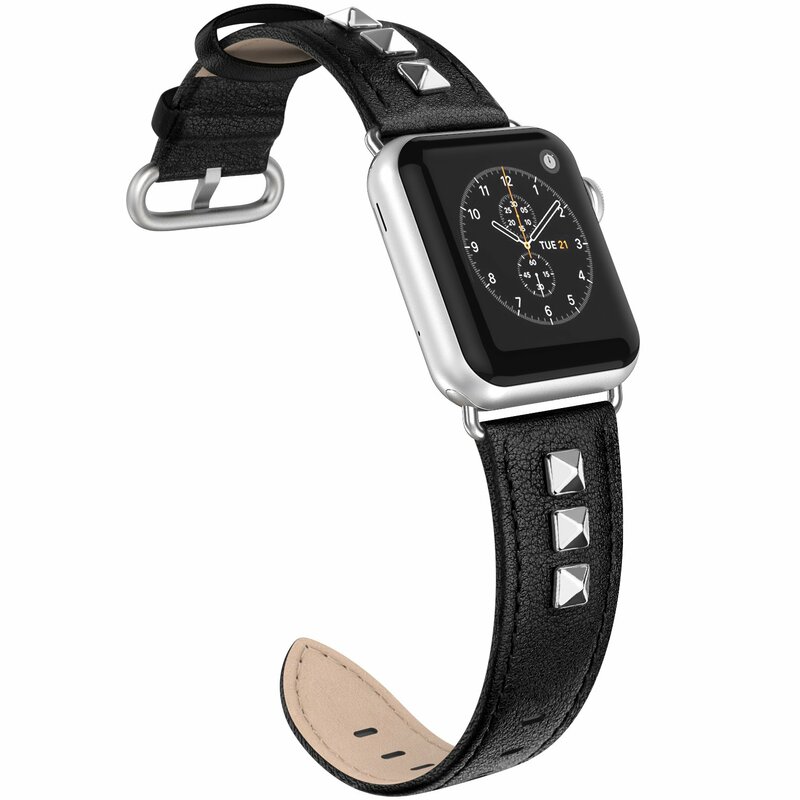 The strap is made of high-quality cowhide genuine leather accented with fashionable stainless steel studs. These bling eye-catching pyramid studs are made of electroplating serling silver coating, which transforms your iWatch from a tech gadget to a chic stylish accessory. Soft microfiber lining & handmade stitching decorate the beautiful appearance, offering the best comfort fit for women.